I can genuinely appreciate an array of hotels and resorts, as most really do have the potential to appeal - it's just a matter of finding those qualities that make it awesome, or seeking out the advantages it has over other locations. Every now and then however, you stumble upon something that takes absolutely no effort to appreciate, and no narrowed audience to uncover. 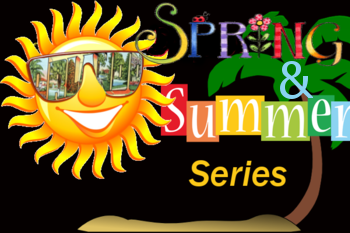 That is the case with our latest Summer Series Spotlight Resort - Hyatt Regency Grand Cypress! Covering a vast 1,500 acre site, bustling with lush gardens and tropical features, the resort boasts 815 non-smoking guest rooms and suites with views overlooking Lake Windsong or the half-acre pool. 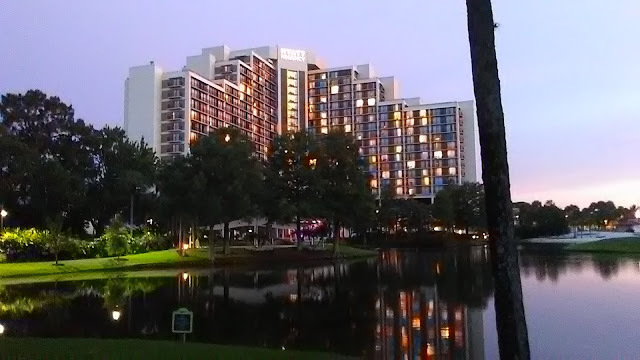 Opened in 1984, the Hyatt Regency Grand Cypress underwent a $30 million renovation in 2013. 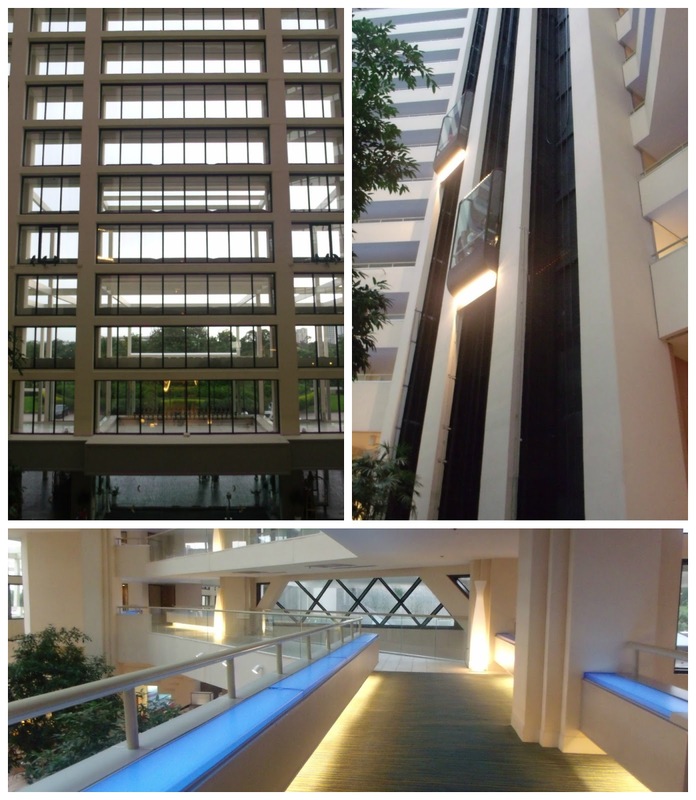 The wow factor is in full effect from the moment you drive up, and it kicks into high-gear as soon you enter the lobby. The main building is just stunning. It's an open-air atrium, awash in natural light. 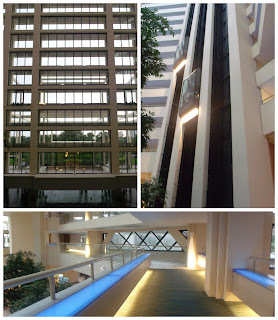 The elevators are walled in glass, allowing for tremendous views all the way up and down the building. Contemporary lighting and decor add just the right level of POP and style to every nook, cranny and landing. Guests are offered a glass of champagne at check-in, providing the perfect excuse to roam the lobby for a cozy place to lounge out and soak it all in. Ample seating options beckon to locales flanked with fountains, televisions, lounges (of which there are three on-site, by the way), lush greenery, and a few other surprises.